Please use only clean and appropriate language in this forum. Your Prayer requests entered here will be posted publically unless you mark them private. 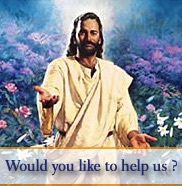 Why not join our Prayer request team, amd help pray for those in need.